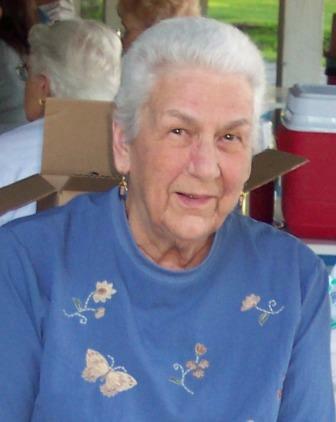 Betty J. Wolfe, 81, of 645 Willow Valley Square departed this life Thursday, April 26, at Lancaster General Hospital. She was born November 7, 1925 in Washington, NJ, the youngest of five daughters of John and Ada Schamp. In 1985 she retired as Vice President of the Mortgage Department of Century Savings Bank in Bridgeton, NJ. She completed 22 years of marriage to Henry K. Wolfe on April 21. Surviving from her first marriage to Stanley Devonald who died in 1979 are two daughters, Judith A. OBrien of Lake Peekskill, NY, Brenda J. Fletcher, of Lewisburg, PA, and a son, Roger C. Devonald of Malvern, PA; three grandchildren and six great-grandchildren. Also surviving is a brother, John, of Mission, TX. Surviving from her second marriage are Gregory D. Wolfe of Delaplane, VA, Patricia J. Yakutis of Lexington, MA, and five grandchildren. A Memorial Service celebrating her life was held on Saturday, May 12, at 3 p.m. in the Johnson Auditorium at Willow Valley Manor North, 600 Willow Valley Square, Lancaster, PA.
Donald L. Wolfe, 79, of Milford Square, died Sunday, April 9, 2006, in St. Lukes Quakertown Hospital. He was the husband of Anna J. (Strawsnyder) Wolfe. They were married 60 years last July. Born in Nazareth, Pa., he was the son of the late Leo Sr. and Anna (Huber) Wolfe. 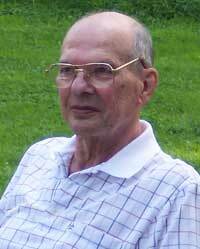 He was a bartender at Indian Valley Country Club for 25 years before retiring. Prior to that, he was a bartender at the Quakertown Moose. He was a lifetime member of the Quakertown Moose and an avid golfer, having five holes-in-one in his career. He was a member of St. Johns Lutheran Church, Quakertown. He was an Army Air Corps veteran, serving during World War II. Survivors: Wife; a son, Jeff A. and his wife Charlene of Milford Square; a daughter, Donna L. Teti of Red Bank, N.J.; two brothers, Leo Jr. of Perkasie, Charles of Finland, Pa.; five grandchildren, Jeremy, Jared, Ethan, Allyn, Nathaniel; a great-grandson, Matthew. He was predeceased by a brother, Francis. Services: Will be held on Thursday, April 13, 2006, at 11 a.m. in C.R. Strunk Funeral Home Inc. (www.crstrunk.com), 821 W. Broad St., Quakertown. Call 9:30-11 a.m. Thursday in the funeral home. Published in the Morning Call on 4/11/2006.